March 22nd, 2018 We are honored to be invited to be included in this fabulous Italian website where women architects support women architects. This site is a model for us all! 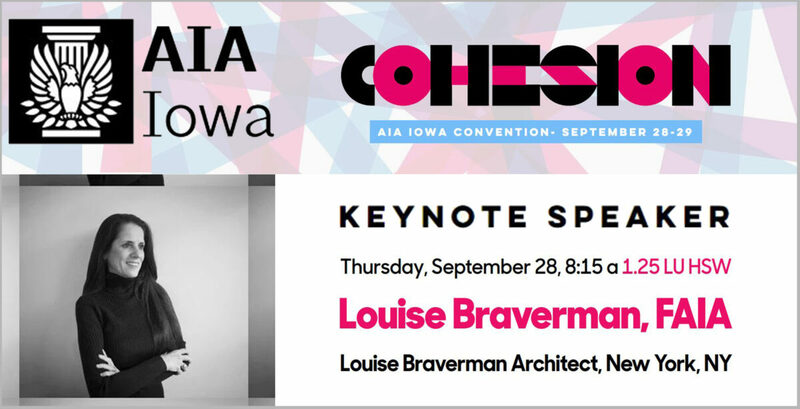 August 29th, 2017 For all of you traveling through Iowa in September, drop in at the Annual Iowa AIA Convention where Louise will be giving the first keynote address. Love to see you there! June 21st, 2017 Louise enjoyed spending the day discussing impressive projects with fellow AIA Chicago Design Awards Jurors Paul Mankins of Substance Architecture and Brad Cloepfil of Allied Works. May 19th, 2017 "A Provocative Paradox" was a wonderful evening at the The National Arts Club dedicated to a discussion of JoAnn Locktov&apos;s award-winning book, Dream of Venice Architecture. 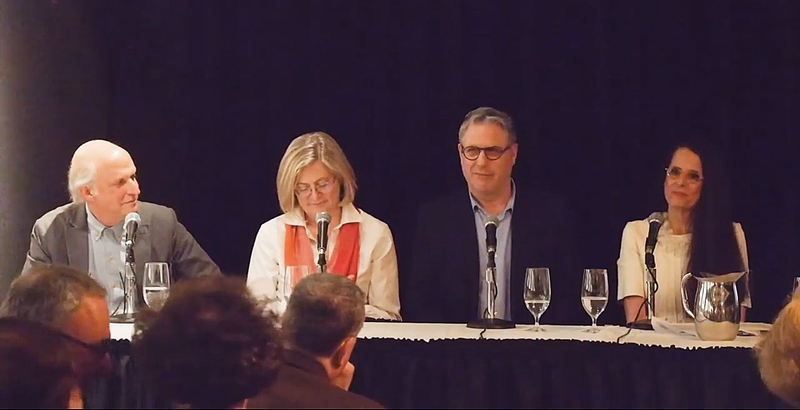 Louise enjoyed moderating a spirited panel including architects James Biber and Max Levy, and Cynthia Davidson of Log. Watch the video here. 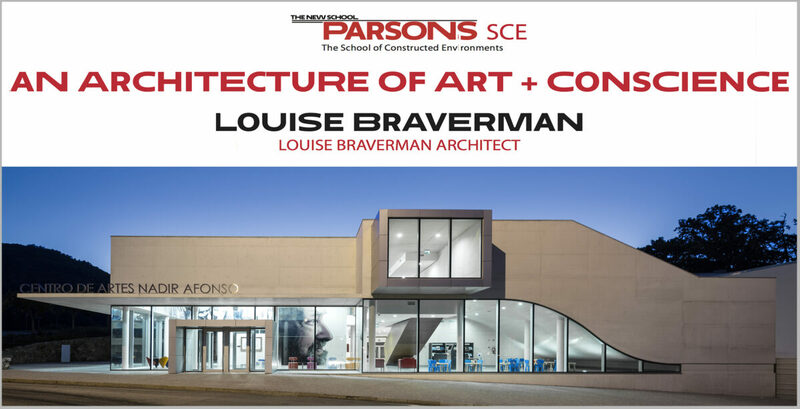 March 28th, 2017 Louise was delighted to discuss our work and chat with Kimberly Ackert about issues relating to her Parsons seminar, "Looking Beyond the Glass Ceiling" at the Parsons School of Design on Tuesday, March 28, 2017. 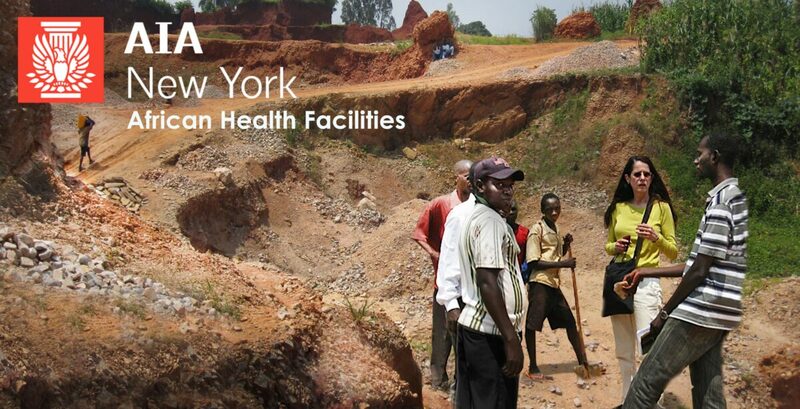 March 16th, 2017 Louise joins Jim Bynum, Frances Halsband and Bea Sennewald in a thoughtful conversation moderated by Peter Navario about the role of communities in designing African health facilities. 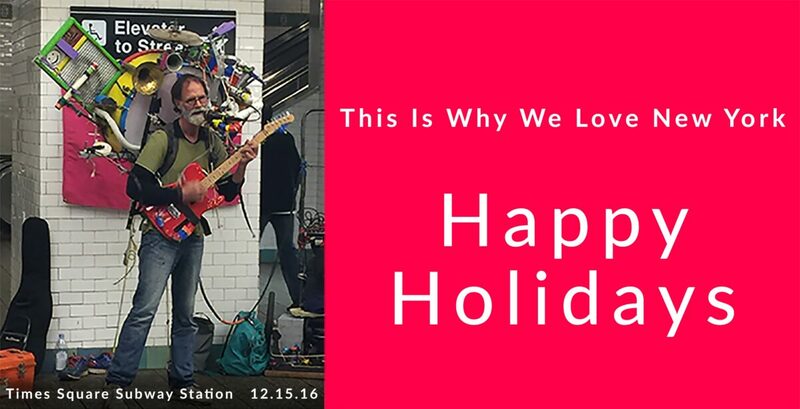 December 22nd, 2016 Hope you like our New York Holiday Greeting. ArchDaily thought it was fun. 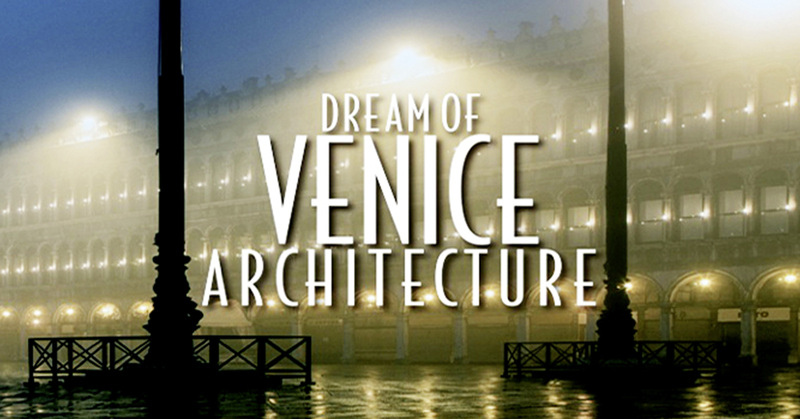 September 27th, 2016 Louise was delighted to contribute an essay to JoAnn Locktov&apos;s insightful book about the mystery of Venice. Along with essays by Tadao Ando, Massimiliano Fuksas, and Witold Rybczynski, among others, and photographs by Riccardo De Cal, Louise’s thoughts dissect the aesthetic wonders of this contradictory city. September 22nd, 2016 It was a lovely evening at Architectural Record’s 125th Anniversary Gala. 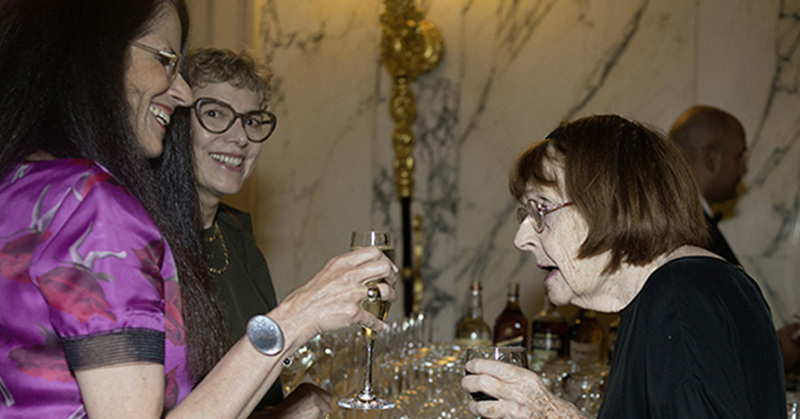 What was really memorable was Louise’s conversation with architectural critic, Sarah Goldhagen and Mildred Schmertz, an early editor-in-chief of Architectural Record. 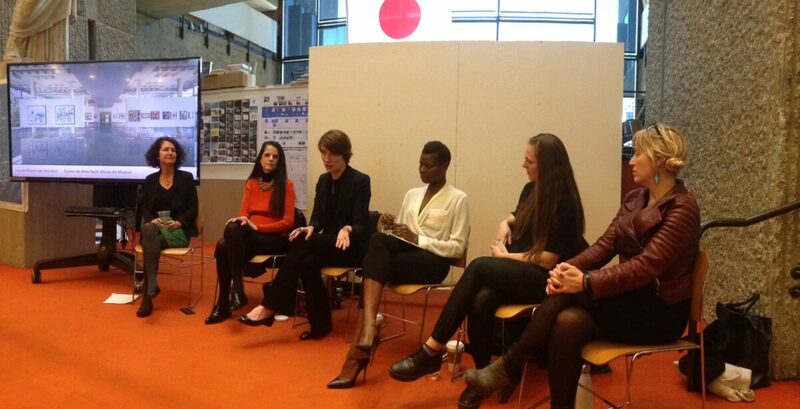 Mildred discussed in detail the early days of the magazine. 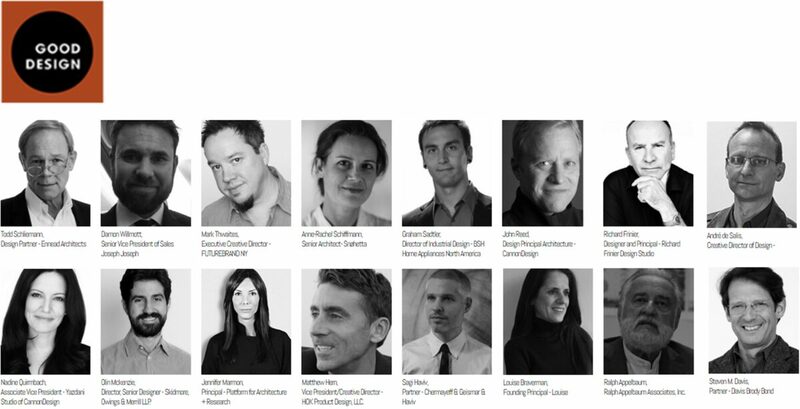 December 15th, 2016 What a wonderful opportunity for Louise to participate with a terrific team of co-jurors for the 2016 GOOD DESIGN Awards. The projects were just fabulous! Check out the GOOD DESIGN Awards here. 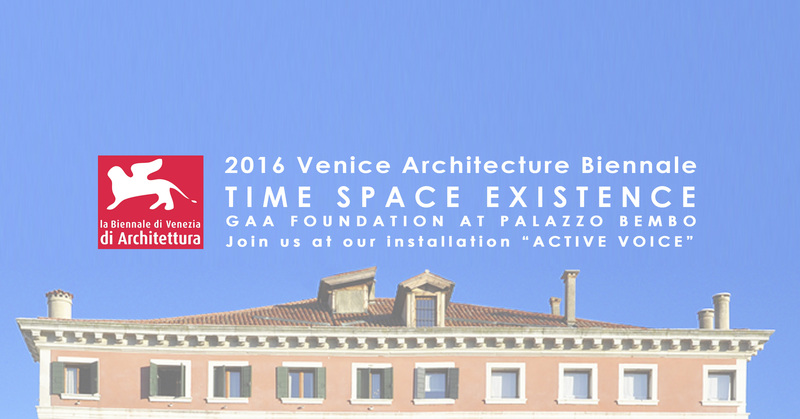 May 20th, 2016 We will be installing our exhibit at Palazzo Bembo for the Global Art Affairs "Time Space Existence" Exhibition at the 2016 Venice Architecture Biennale. 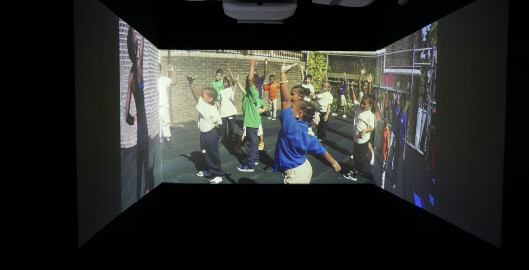 Responding to the curatorial focus, "Reporting From the Front", a three-dimensional video architectural exploration seen through the lens of two neighborhood grandmothers who established the school is at the core of the exhibit. 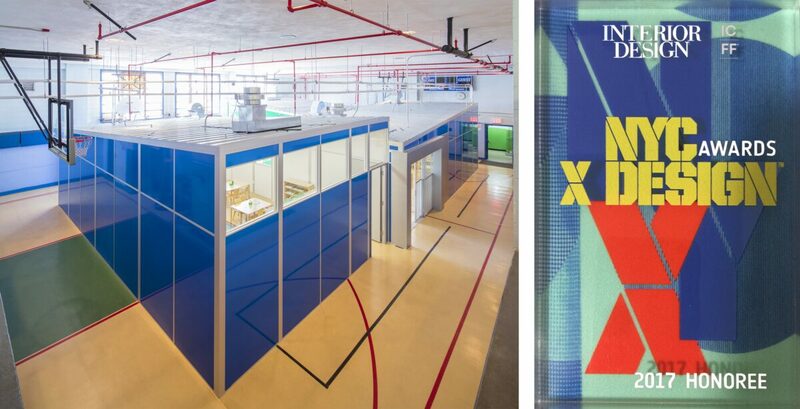 The installation is composed of an integrated video display on four planes, three walls and a horizontal platform, that together describe the ongoing collaborative design process that resulted in formal and informal learning spaces for the growing number of students. 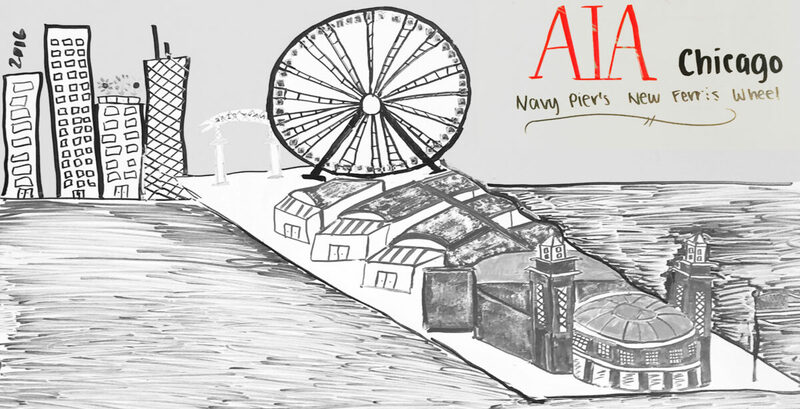 The architectural task was multifaceted. It included an ongoing search for a site for a new building resulting in multiple investigations of possible parcels of open land as well as potential unused buildings, such as a manufacturing warehouse and an abandoned nunnery, which could be re-purposed into a new school campus. 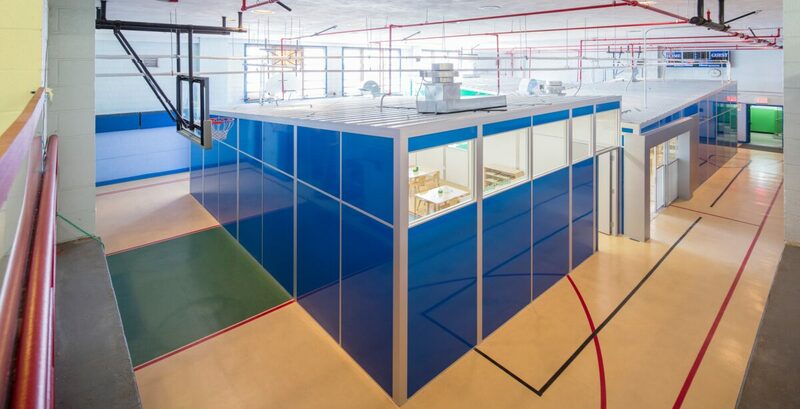 Simultaneously yearly renovations and re-designs of the existing school classrooms and public space were part of the scope of work. 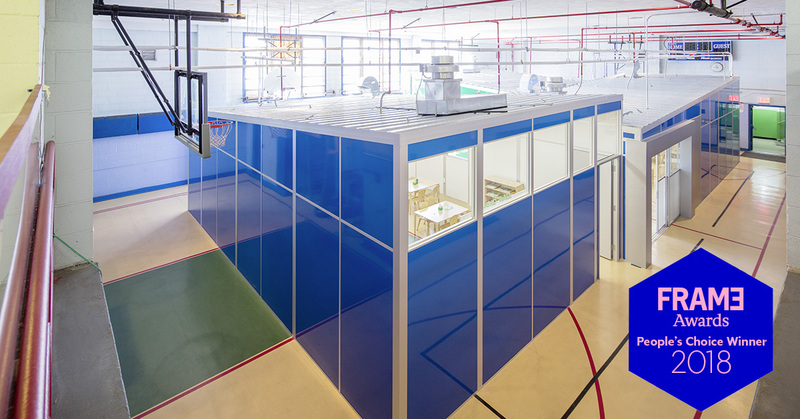 The latest project is the design of adaptable, pre-fabricated, "classroom buildings" suitable for small or large group learning that are located within the existing school gymnasium. This series of incremental architectural projects together strive to create an inclusive educational public domain for the students, educators and community. 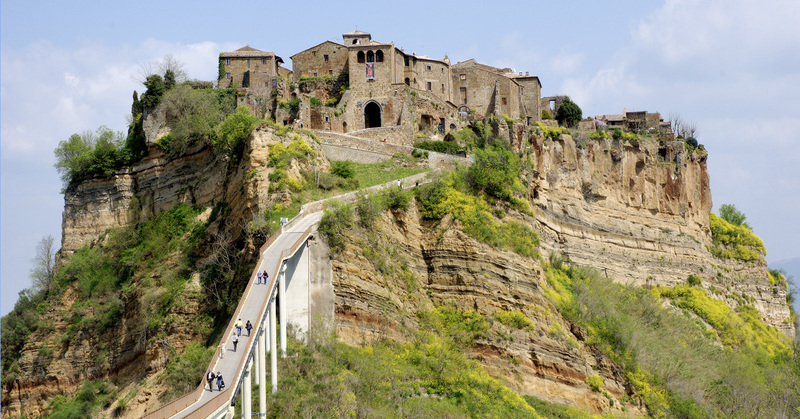 May 7th, 2016 What a wonderful prize to live and work for one or two months in this exquisite hill-town retreat of Civita di Bagnoregio, which seems hewn right from the rock on which it rests. 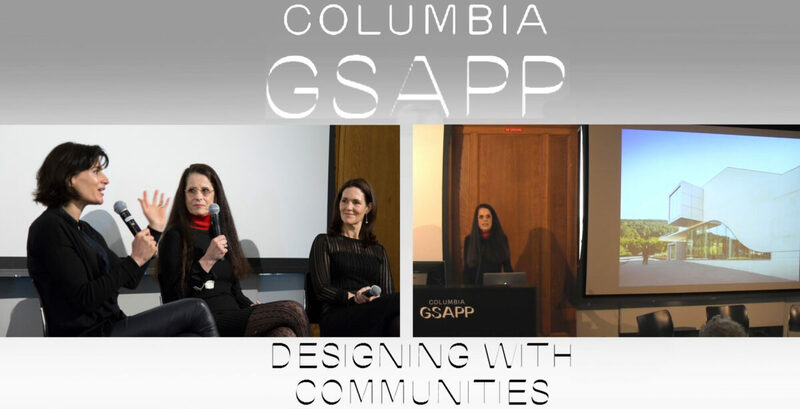 Louise spent a delightful afternoon with fellow jurors selecting architects and artists to immerse themselves in the Italian hill-town culture in order to create a thoughtful project that will result from this unique experience. 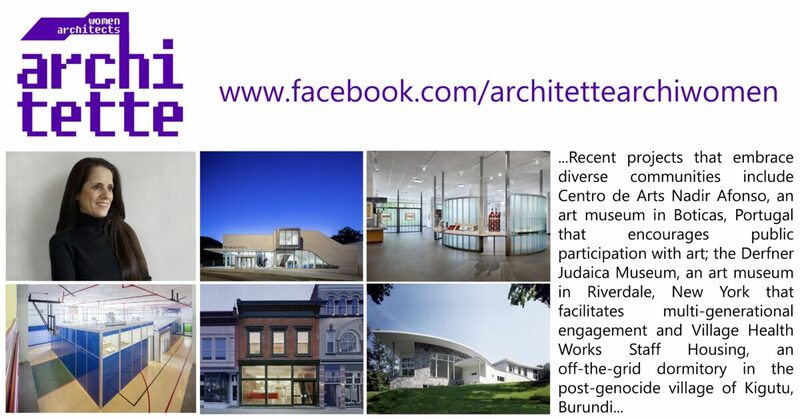 Check out the Civita website for the announcement of winners.